Meta-analyses have revealed important discrepancies between problems reported for children by their parents, teachers, and the children themselves (Achenbach et al., 1987; De Los Reyes et al., 2015). In light of the cross-informant discrepancies, mental health professionals understand that no single informant’s reports are sufficient for comprehensive assessment of child and youth problems. Instead, parent, teacher, and self-reports are needed. Most studies included in the meta-analyses were done in a few rather similar societies. Do cross-informant discrepancies also occur in other societies? To find out, Rescorla et al. (2013, 2014) analyzed CBCL/6-18 and YSR ratings of problems for 27,861 youths in 25 societies, plus CBCL/6-18 and TRF ratings for 27,962 students attending schools in 21 societies. (Rescorla al. included only those problem items that were similar on each pair of forms, i.e., on the CBCL/6-18 and YSR, and on the CBCL/6-18 and TRF.) In all societies, YSR Total Problems scores exceeded CBCL/6-18 Total Problems scores, which, in turn, exceeded TRF Total Problems scores in every society except Thailand. Correlations of CBCL/6-18 scores with YSR and TRF scores differed somewhat between societies, but, averaged across all societies, the mean correlation of .45 between CBCL/6-18 and YSR Total Problems scores and the mean correlation of .29 between CBCL/6-18 and TRF Total Problems scores approximated the mean correlations found between these pairs of informants in U.S. samples (Achenbach & Rescorla, 2001). Could the cross-informant correlations be limited by tendencies of parents, teachers, and youths to endorse different items? To test this possibility, Rescorla et al. computed Q correlations between the mean of the 0-1-2 ratings of each problem item by all the parents, by all the teachers, and by all the youths in the samples from each society. (Q correlations measure the degree to which two sets of numbers agree with each other, such as the means of the 0-1-2 ratings of problem items on the CBCL/6-18 correlated with the means of the 0-1-2 ratings of the same items on the TRF.) Averaged across all societies, the mean Q correlation between ratings of CBCL/6-18 and TRF items was .77. Averaged across all societies, the mean Qcorrelation between ratings of CBCL/6-18 and YSR items was .85. These large correlations indicated that parents and teachers and also parents and youths tended to give low, medium, or high ratings to the same items. These findings tell us that the correlations of .29 between CBCL/6-18 and TRF Total Problems scores and .45 between CBCL/6-18 and YSR Total Problems scores were not limited by tendencies of parents, teachers, or youths to give low, medium, or high ratings to different items. Instead, the discrepancies between particular informants’ ratings of particular students and youths reflect differences in how they rated the individual students and youths in each dyad. This was indicated by the small mean Qcorrelation of .23 between item ratings by parent-teacher dyads and .33 between parent-youth dyads. In other words, different informants showed only modest agreement between their ratings of a particular student or youth but this was not because parents, teachers, or youths in general tended to rate different items as low, medium, or high. Another important finding was that cross-informant discrepancies were much more frequent for classification of students and youths as having clinically elevated problem scores than for classification of students and youths as being in the normal range. This means that multi-informant data are especially important to obtain for students and youths who are being clinically evaluated. 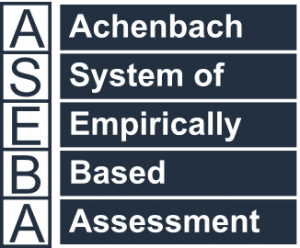 Achenbach, T.M., et al. (1987). Child/adolescent behavioral and emotional problems: Implications of cross-informant correlations for situational specificity.Psychological Bulletin, 101, 213-232. Achenbach, T.M., & Rescorla, L.A. (2001). Manual for the ASEBA School-Age Forms & Profiles. Burlington, VT: University of Vermont Research Center for Children, Youth, and Families. De Los Reyes, A., et al. (2015). The validity of the multi-informant assessment approach to assessing child and adolescent mental health. Psychological Bulletin, 141, 858-900. Rescorla, L.A., et al. (2013). Cross-informant agreement between parent-reported and adolescent self-reported problems in 25 societies. Journal of Clinical Child & Adolescent Psychology, 42, 262-273. Rescorla, L.A., et al. (2014). Parent-teacher agreement on children’s problems in 21 societies. Journal of Clinical Child & Adolescent Psychology, 43, 627-642.